One of the hottest topics in place branding is how to determine the return on investment (ROI) and economic impact of initiatives aimed at creating a unique and competitive brand positioning for a city, region or destination. The purpose of this third post on ‘clean, green’ New Zealand is to give you an example of how economically valuable a national image and destination brand can become. This short review of literature on the economic value of New Zealand’s ‘clean, green’ national image and its ‘100% Pure’ brand is based on my 2014 doctoral thesis. If you aren’t used to reading academic text, just ignore the names in brackets and you should be fine. If you are comfortable with academic style and want to learn more about the topic, or access the articles and books referred to, you’ll find the list of references at the end. New Zealand (Māori: Aotearoa – both English and Māori are official languages) is a country located south east of Australia. Its comparatively small population of 4.4 million people (similar to Ireland, Singapore or Norway) inhabits a land mass of almost 270,000 square kilometers, comparable in size to the United Kingdom (though the UK has 63 million inhabitants). The country’s market-based economy has traditionally been dominated by export of farm products, such as wool and dairy goods, and incoming tourism. Trade plays a paramount role for NZ’s economy since “it provides a channel to break the constraints of its small size. New Zealand cannot rely solely on the domestic base to increase its standard of living” (Crocombe, Enright and Porter, 1991, p. 38). The first country in the world to dedicate a government department to tourism, in 1901 (TNZ, 2009), tourism clearly plays a key role for NZ’s economy. To the year ended November 2013, 2.7 million international tourists visited New Zealand, generating NZ$9.8 billion or 16.1% of New Zealand’s total export earnings, with a direct contribution of 3.7% to New Zealand’s GDP (NZ Ministry of Economic Development, 2013). More than any other developed country, New Zealand’s economy, people and environment depend on the success of our land-based industries…Agriculture is how New Zealand earns a living and together with the food and forestry sectors, generates 70% of New Zealand’s merchandise export earnings and around 12% of Gross Domestic Product. New Zealand is the world’s largest dairy and sheep meat exporter. As Crocombe et al. (1991, pp. 147-148) noted, “New Zealand was originally ‘Britain’s farm’, exporting a narrow range of agricultural commodities…to Britain.” Following the loss of Britain as guaranteed market for primary goods when it joined the European Economic Community (EEC) in the late 1960s (Crocombe et al., 1991), NZ intensified its exports to other countries. Its principal trade partners now are Australia, China, the EU, the United States, Japan and South Korea (Source). While accurate measurement of the monetary value derived from a positive environmental image and New Zealand’s brand positioning is difficult (Insch, 2011), there certainly have been attempts, each coming up with slightly different results. In terms of clean, green as NZ’s country or national brand, in 2001 the NZ Ministry for the Environment suggested a potential loss of about NZ$938 million in revenue from the country’s ﬁve inbound tourist markets (Australia, Korea, the US and UK, and Japan) if tourists’ perceptions of the environment worsened (NZ Ministry for the Environment, 2001, see also Insch, 2011). In another estimate it was suggested that the average dairy farmer could lose an estimated NZD$18,000-49,000 if the clean, green image were tarnished, as reported by Pickering (2002). In 2005 it was suggested that the value of “Brand New Zealand” – that is, the real contribution of the brand to the nation’s economy – amounts to US$102bn (Anholt-GMI, 2005, p. 3). With regard to the economic importance of 100% Pure, in 2005 New Zealand’s tourism brand was valued worth US$13.6bn (Interbrand, 2005, as cited in Insch, 2011; see also TNZ, 2009). The economic success of the 100% Pure branding is also demonstrated in the increase of NZ tourism “from 1.6 million visitors in 1999, when the campaign started, to 2.5 million visitors in 2010” (Rudzitis & Bird, 2011, para. 5). This number has since grown to a record 3.34 million visitors (Source) in the 12 month period ending July 2016 year, which is considerable for a country with a population of 4.5 million. Over time clean, green has become an integral part of the marketing of NZ and its products (KPMG, 2011). The dependence of NZ’s economy on the natural environment is best illustrated by tourism and agriculture, the country’s largest export earners (NZ Ministry of Economic Development, 2011; TNZ, 2009). As umbrella brand (MacDonald, 2011), 100% Pure, while initially conceived as a promotional tagline targeted at tourists (Roper, 2012), has since become highly valuable for other industries, particularly agriculture and food exports, where clean, green is associated with food quality and safety (Clemens & Babcock, 2004). For example, the country’s wine producers have marketed their products’ origin as the “clean, green land” (Lewis, 2008, p. 114), while NZ’s dairy industry has placed advertising in congested London settings, depicting happy cows on spacious, green fields (Everitt, 2009). Rod Oram (2007), a leading NZ business commentator, sees the country’s travel and tourism industry failing to respond fast enough to changing customer sensitivities over the world’s environment, ignoring the possible economic impact that negative views on New Zealand’s branding could have. Anholt-GMI. (2005). How the world sees the world, the Anholt Nation Brands Index Q4 2005. Clemens, R., & Babcock, B. A. (2004). Country of origin as a brand: The case of New Zealand lamb MATRIC Briefing Paper: Midwest Agribusiness Trade Research and Information Center. Crocombe, G.T., Enright, M.J., & Porter, M.E. (1991). Upgrading New Zealand’s competitive advantage. Oxford, United Kingdom: Oxford University Press. Everitt, T. (2009). Clean & Green? Brand New Zealand. Queenstown, New Zealand: Greenbranz. Interbrand (2005). New Zealand brand valuation: Baseline review of Tourism New Zealand. Wellington: Tourism New Zealand. Insch, A. (2011). Conceptualisation and anatomy of green destination brands. International Journal of Culture, Tourism and Hospitality, 5(3), 282-290. doi: 10.1108/17506181111156970. Lewis, N. (2008). 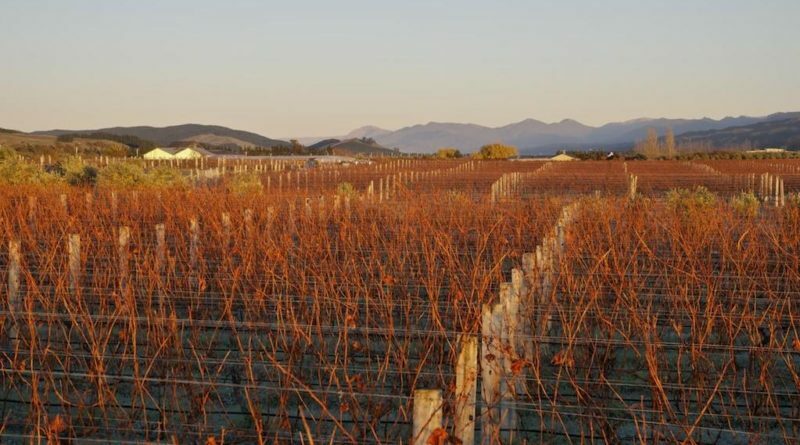 Constructing economic objects of governance: The New Zealand wine industry. In C. Stringer & R. Le Heron (Eds. ), Agri-food commodity chains and globalising networks (pp. 103-120). Aldershot, United Kingdom: Ashgate. Oram, R. (2007). Reinventing paradise: How New Zealand is starting to earn a bigger, sustainable living in the world economy. North Shore, New Zealand: Penguin. Pickering, S. (2002, 9 July). Farmers cleaning up their own backyard, Waikato Times, p. 11. Roper, J. (2012). Environmental risk, sustainability discourses, and public relations. Public Relations Inquiry, 1(1), 1-19. doi: 10.1177/2046147X11422147. Enjoyed this post on the place brand equity and economic value of clean, green and 100% Pure New Zealand? Spread the word!